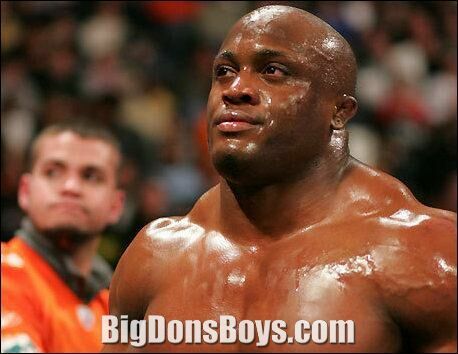 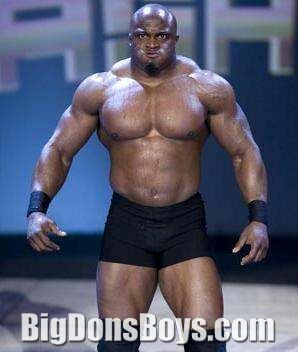 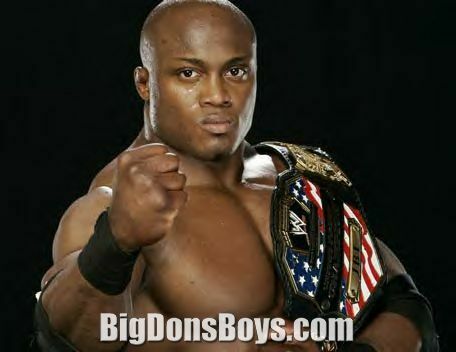 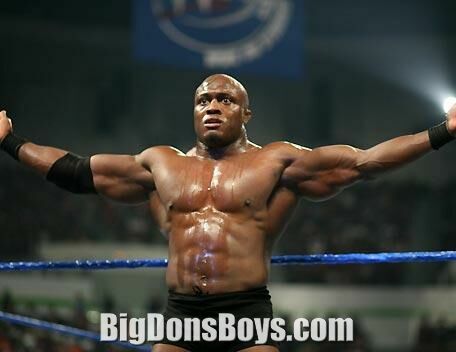 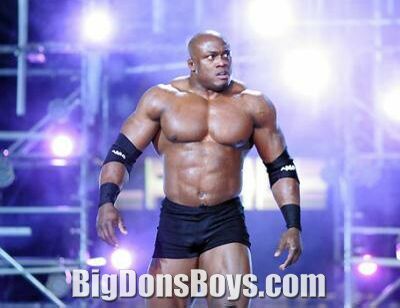 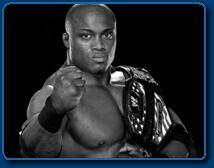 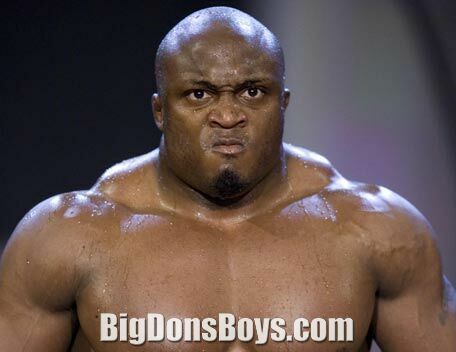 Franklin Roberto (Bobby) Lashley is a pro wrestler and huge Black bodybuilder who is signed with World Wrestling Entertainment. 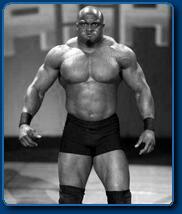 In college he won three national amateur wrestling championships in the late 1990's. 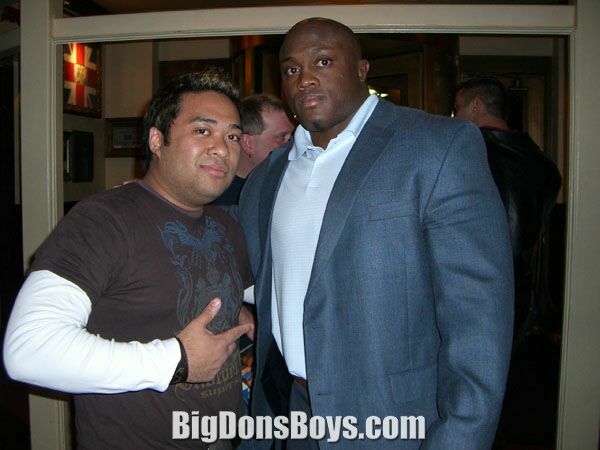 He became NAIA National Wrestling Champion at a then punty 177 lbs. 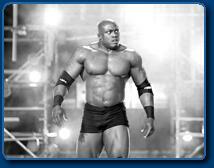 Later he joined the U.S. Army where he continued to wrestle. 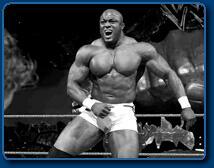 In 2003 he started pro wrestling on the Ohio Valley Wrestling circuit. 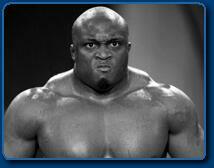 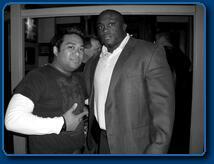 He made the move to the big time and WWE Smackdown in 2005. 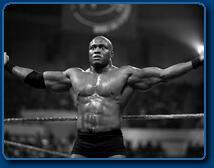 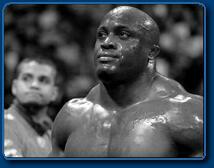 Behind the scenes of the FLEX photoshoot of WWE Superstar Bobby Lashley.